Tear drop shaped banner, made of knitted 110g polyester. 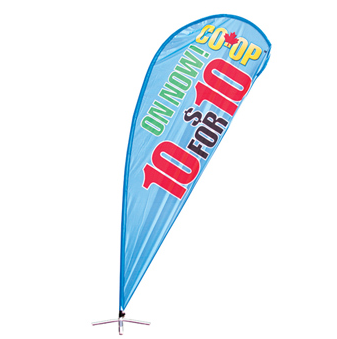 This banner provides an easy-to-see advertisement at nearly any event. Banner attachments not included in the unit price. Prices may vary.